But when exactly is that? It turns out that on this street there’s a small herd of Indian Urban Cows. They commute each day to local grazing, much like the businessmen in the surrounding high rise buildings go back and forth to work. 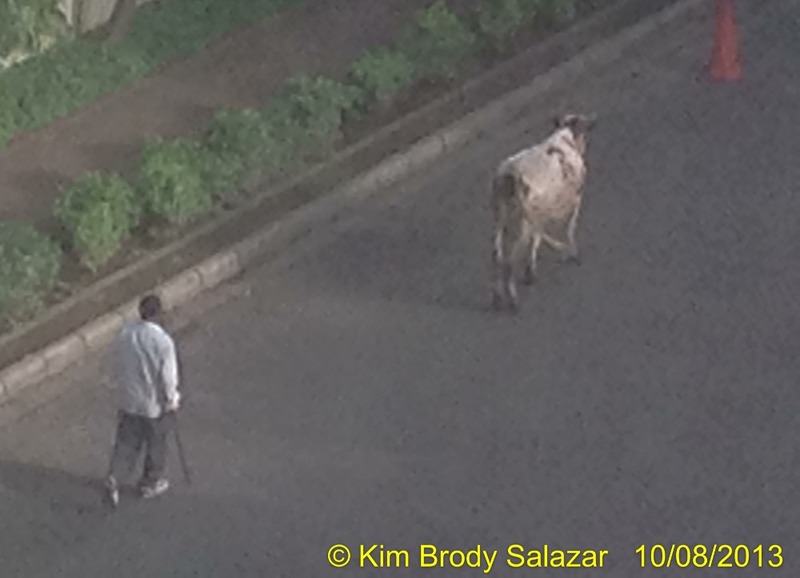 Our street’s five cows amble out and back, shepherded by a guy on a bicycle (or occasionally on foot). 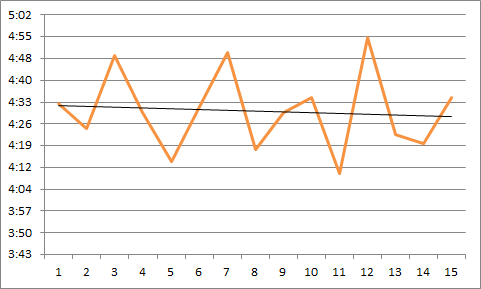 Having tracked the data, I can now say exactly what time they come home. Amusingly, you can see that the trendline correlates with the slowly shortening days, as the sun rises later and sets earlier as the month progresses. Another mystery of the ages, put to bed by scientific observation. There is a PhD or at least Master’s thesis in here somewhere. HAHA! Should have asked me. I’d have told you the same. No PhD or Master’s here… just experience being raised on a cattle ranch, feeding and milking the Ladies. Miss those days and being with my Cowboy father!!! Still, I think you did an excellent job figuring it out. GOOD FOR YOU! Before I close, I’d like to thank you for your wonderful site. Every time I visit is like taking a mini-vacation and wearing my feet out going to all the places of interest… seeing all the stunning work people have created. Thank you for that! Your Ganesh… all your needlework in fact, is absolutely stunning. I don’t have the eyes for it anymore (don’t get old! It’s really inconvenient! ), so I’ll just drool over yours. I remember home milk delivery to the little metal box, too. Never had to thaw as your mother did. Bet that drove her nuts! Did you have a Helm’s man drive your neighborhood with fresh baked goods? Or the Boy Scout pick-up of newspapers and animal fats from cooking? The fats were used to make soap (sounds gross, huh?). The ranch I was born to had a water pump at the kitchen sink, an out-house (what fun in the snow… NOT! ), and electricity was only had by generator. Yep, all those cows were milked by hand. When my father and I went for feed, town had wooden boardwalks. The air was clean, the towns were safe, and there was little traffic on the roads. Things have changed!!! I so often wish we could go back… just a little bit.